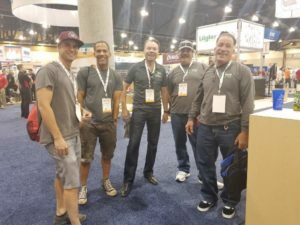 Mission Hardwood Floor Co. is a fourth generation, family owned and run hardwood flooring company located in Scottsdale, Arizona. Since 1972, Mission has installed over 20,000 floors in some of the valleys most luxurious and prestigious estates. We pride ourselves for our exceptional craftsmanship, outstanding customer service and we strive for perfection at every project we are awarded. All our crafts and services are team efforts, so if our values also describe yours and your work ethics, we would love to hear from you. We have one of the lowest employee turnover rate in the industry and would like to welcome you to our steadily growing team. Simply apply below and we will contact you.